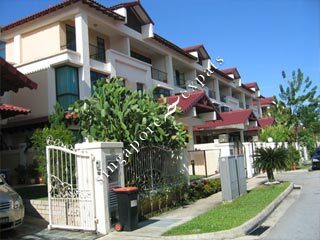 The Riverina is a 99-year leasehold landed residential develoment situated along Riverina Walk, the far eastern side of Singapore. Amenities can be found at the nearby Pasir Ris housing estate and Elias Shopping Mall. It is also near the refreshing Elias Park and Changi Beach. The Riverina is near to major expressways like Pan Island Expressway (PIE), Tampines Expressway (TPE) and East Coast Parkway (ECP). Public transport is readily available along Pasir Ris Drive 3 and Elias Road. The nearest Pasir Ris MRT Station is about 10-minute walk from The Riverina.